Hundreds of people consisting mainly of young and old people from Tumahole thronged the Mosepeli Hall last Friday to apply for ID’s in a bid to become documented South Africans ahead of next year’s general elections. 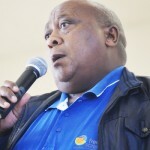 The office of the Speaker in the Fezile Dabi District Municipality, Girts Nketu, has arranged with the home affairs department to use the hall to enable hundreds of community members in Ngwathe to acquire ID’s. This revealed the high number of people who still do not have ID’s. Many of them told of how their ID’s had been seized by loan sharks while others had lost them. Ngwathe ward councillor, Nneheng Mopeli, facilitated the campaign. She told the community that this was an opportunity for them to get the important documents to be able to exercise their democratic right to vote. “Having no ID contributes to high levels of poverty because you can’t get a job; it helps young people secure a future because if you don’t have one you won’t be allowed write your Grade 12 final exams,” said Mopeli. Beneficiaries thanked both the Ngwathe Local Municipality and Fezile Dabi District Municipality for giving them the opportunity to apply for ID’s. Ntshediseng Mogale said she lost hers on a bus and she had struggled to open accounts since last year. “I had no money to apply for a new ID now that the fees have gone up. But this will enable me to get it and I will bounce back to face life so I can continue with my dreams,” said Mogale. Another beneficiary, Lerato Mosia – a grade 11 learner – told The Weekly that she has been trying to apply for an ID but she couldn’t get one. She said an ID would help her when she applies for a bursary to further her studies. “There are many things that we can do with ID’s. 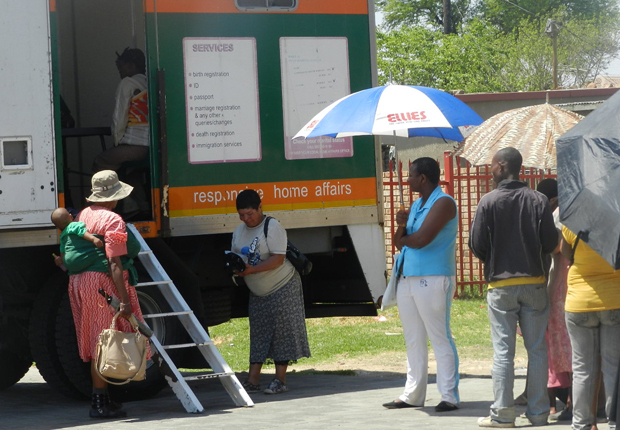 It helps in many aspects of life and nothing can be realised without an ID,” said Mosia. Ngwathe Local Municipality manager, Steve Naale thanked Nketu for spearheading the project. “The Speaker knows the situation our people are in and we find his intervention very important to all the beneficiaries. We also thank all of the councillors who are working hard to have people helped,” said Naale. Statistics reveal that one in 10 people loses an ID and many people still struggles to get them back due to their identities being stolen by unscrupulous foreign nationals. South Africa is the world leader when it comes to fraudulent documents like ID’s, drivers’ licences and passports. This corruption has helped many ineligible immigrants to access RDP houses while millions of citizens are still struggling to lay their hands on them.